Study Staff — Alma Sana Inc.
For our pilot study, study staff distributed the bracelets and tracked data. 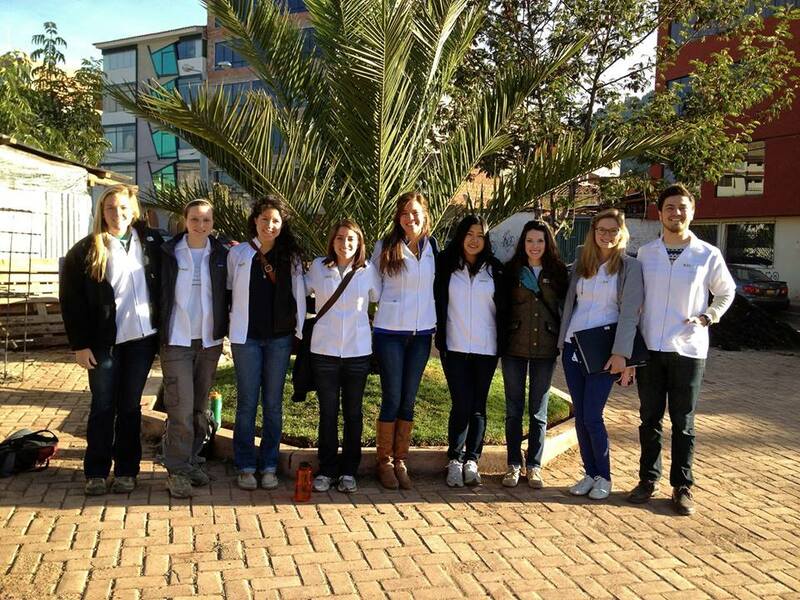 In Peru our study staff were university and master's students, nurses, and public health workers. In Ecuador local Ministry of Health nurses served as study staff. Study staff for our upcoming trial will be local health workers in each country. Alex Bozzette, our beloved Ecuador Project Coordinator, passed away on February 1, 2016. You can read about how he impacted Alma Sana here. Alex Bozzette, Tena, Ecuador Project Coordinator, Phase I, received his Masters of Science in Public Health at the London School of Hygiene and Tropical Medicine. He received his Bachelor of Science in Science, Technology, and International Affairs with a concentration in Global Health from the Georgetown University School of Foreign Service in 2012, where he graduated with honors for his thesis on multidrug-resistant tuberculosis (MDR-TB). Alex’s thesis study, made possible by the 2011 Circumnavigators Club undergraduate research grant, took him to Ecuador, Peru, Tanzania, Ethiopia, India, and Vietnam, where he interviewed 30 diverse TB specialists about priorities in MDR-TB control. While in London, Alex worked part-time for RoadPeace, the United Kingdom’s national charity for road crash victims, where he studied and advocated for the use of tranexamic acid – a safe and affordable life-saving treatment for acute trauma. After working with Alma Sana, Alex completed a Global Health Corps Fellowship in Burundi and worked with Population Media Center managing their Latin America and East Africa programs until his passing. Alex was passionate about practical public health and loved engaging with global colleagues whenever possible. Alex Bozzette (in Alma Sana shirt), our Ecuador Project Coordinator, with the health center immunization nurses who also served as our study staff. Here they're presenting the locally adapted vaccine symbol guide for low-income moms. Photo taken: June 25, 2013. Our fantastic summer interns ready for Day 1 of our Peru study! From left to right: Amy Scheel, Jenny Nepom, our Peru Project Coordinator, Vanessa Rivera, Dani Corona, Jenny Poliwka, Joanie Kim, Lauren Braun, our founder, Anca Dogariou, and Alex Bozzette, our Ecuador Project Coordinator. Photo taken: June 1, 2013. Meet our wonderful fall interns in Cusco (minus Kirstyn Powell) from our Phase I study with our founder, Lauren Braun! From August through December, this team followed up with and gave final questionnaires to the more than 100 moms in our Cusco pilot study. We also GPS'd every mom's house and interviewed nurses about the bracelet. From left to right: Rachel Way, Joanie Kim, Annadele Herman, Nora Springstubb, Eleonore van Wonterghem, and Lauren Braun. Photo taken: Dec. 4, 2013.